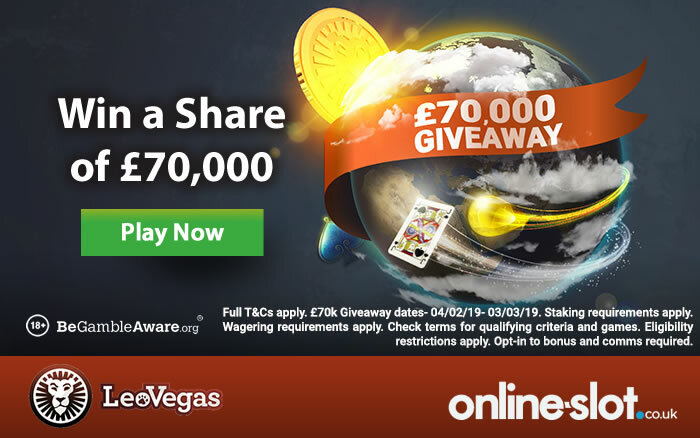 LeoVegas Casino are giving away £70,000 worth of trips, cash prizes and free spins – the top prize is a £10,000 dream travel package to the destination of your choice. Running until March the 3rd (2019), The £70k Giveaway promotion is exciting as it runs for 4 weeks – there’s a share of £5,000 in cash to be won as well as 4 trips worth £10,000 each to the destination that you choose. There’s also free spins and bonuses up for grabs. In order to take part, you need to deposit and play the eligible games during the promotional period – they include Lucha Maniacs and Beauty and the Beast from Yggdrasil Gaming, Fairy Gate from Quickspin, Sweet 27 from Play ‘N Go, Secret Romance and Immortal Romance from Microgaming and Deco Diamonds from Just For The Win. Tier 1: deposit and wager £20 to win free spins or bonus money – 50 players will win 25 free spins on Book of Dead and 50 players will win £25 live casino bonus money. Tier 2 – deposit and wager £50 to win a share of £5,000 in cash. 10 players will win £500 each. Tier 3 – deposit and wager £10 to win a dream trip worth £10,000 (£10k cash alternative available). It’s that simple! LeoVegas Casino is a reputable online casino with over 1,170 slots to choose from – they have all the latest games like Play ‘N Go’s Wild Falls, Yggdrasil Gaming’s Cazino Cosmos, iSoftBet’s The Fortune Pig and Novomatic’s Tidal Riches. They also have Big Time Gaming’s Holy Diver MegaWays exclusively! Sign up to get 20 no deposit free spins on Book of Dead. You can then get up to £400 in bonuses and 80 more bonus spins – you will get a 100% match bonus up to £100 plus 20 bonus spins on each of your first 4 deposits.